Voodoo Dreams Casino will then reward you with a bonus (Welcome Bonus is for new players only). The terms and conditions of the bonuses vary between different casinos and might also change over time and between different countries, so it is important to compare the different offers and read the T&C for Voodoo Dreams Casino before signing up. Voodoo Dreams Casino is a fresh gaming destination which may strike you as a bit dark when you enter it. However, once you proceed to the lobby, its layout will impress you. The casino logo in cyan blue looks fantastic on a black backdrop as well as colorful games’ thumbnails. 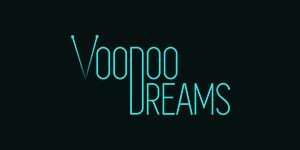 If you are looking for a gambling site that looks a bit mysterious, Voodoo Dreams Casino may be a perfect fit for you. Online since 2016, the online casino is operated by the Malta-based company SuprPlay Limited. You may not be familiar with voodoo magic, but you are certainly familiar with software developers providing the casino with the gaming content. Some of them are the biggest names in the online gaming industry, so you can rest assured that you will enjoy only the best on the market. Voodoo Dreams Casino is licensed and regulated by two reputable gaming authorities, the UK Gabling Commission and Malta Gaming Authority, which is a guarantee that it operates in accordance with the high industry standards. All you have to do to enjoy thrills and spills of this unique gambling site is to enter it on your desktop or mobile device and register. With no downloads needed, all the games are available in instant-play mode and ready for play. Voodoo Dreams Casino is a hub housing the games supplied by the industry giants like Microgaming, NetEnt and Play’n GO as well as new kids on the block such as Quickspin, Yggdrasil, Thunderkick and ELK Studios, to name a few. Catering to all kinds of players, the gaming venue offers all types of casino games. From slot machines to virtual and live table and card games, Video Poker variants and scratch cards, all of these are available at Voodoo Dreams. They are nicely organised into categories enabling you to browse the website easily and find ones to your liking without difficulty. Almost 400 slot titles are on offer at Voodoo Dreams. Under the Top Pick section you can choose from all time favourites like Starburst by NetEnt, Book of Dead by Play’n Go and Immortal Romance by Microgaming. New Games is a self-explanatory category where you can find all the latest releases from the contributing developers such as Henzo’s Dojo by Yggdrasil, Hidden Valley by Quickspin and Turn it Up by Push Gaming. The Jackpots collection will impress all fans of progressive slots with the legendary titles like Mega Moolah, Mega Fortune and Major Millions awarding life-changing amounts. The Table Games section is home to 19 virtual table and card games. Players can take a chance on European, American and French Roulette, Blackjack Double Exposure, Baccarat and Caribbean Stud. Other Games is a section dedicated to Video Poker variants like Jacks or Better, Joker Wild and Aces and Faces. Besides, you can choose from a few scratch cards, Bingo and Keno. Players who prefer more realistic gaming experience can visit the Live Casino section powered by Evolution Gaming and NetEnt. Apart from classic versions of the game, players can try their luck at Lightning Roulette, Common Draw Blackjack, Caribbean Stud and Three Card Poker and Dream Catcher. 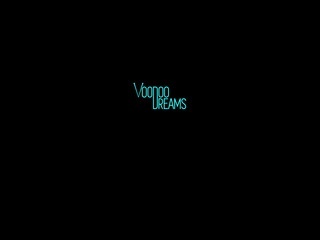 Players are allowed to use EUR, GBP, USD, DNK, NOK, SEK, AUD, CAD and NZD to make transactions and wagers at Voodoo Dreams. The casino also supports a wide range of banking methods to enable players from all the corners of the world to fund their accounts and clear their winnings. All the transactions are carried out in a safe manner, so that you can focus on the gameplay without worries about the security of your funds. When it comes to payment options, you can use Visa and MasterCard, Neteller, Skrill, Citadel, Entercash, EPS, Euteller, GiroPay, iDebit, InstaDebit, Paysafecard, Sofort, Zimpler and Trustly to send money to your account. Keep in mind that a 2.5% fee is charged on deposits made via Visa and MasterCard. Withdrawals can be requested via e-wallets, credit cards, Entercash, Euteller and Trustly. Offering a modern gambling site, the gaming operator has made sure that each part of it functions flawlessly. However, we are a bit disappointed that there is no FAQ section that would help us learn more about the casino policy and technicalities. To compensate for the lack of such an important feature, the casino offers customer support via live chat and mail. It is available 24/7 meaning that friendly and professional agents will be at your disposal around the clock. Customer support is available in English, Norwegian and Swedish. Unfortunately, Voodoo Dreams Casino is not present on social media like Facebook or Twitter.